Let’s get to the point: Attracting wealth doesn’t require some weird mantra. The Law of Attraction does work, but sitting down and practicing visualization alone are not enough to attract wealth. You can attract money if you re-program your mindset, and you can only attract money by taking action because the word “act” is in the word “attract”. The key here is to focus on attracting money so that you will be able to easily find ideas to make more money. However, it doesn’t mean that you have to be obsessed about making money. It means that you have to keep positive thoughts, as well as focusing on what you’re going to do and what you’re going to get. If you’re focusing on desperation, then you will only attract more money problems instead. If you’re focusing on making more money, money-making ideas will show up. If that happens, you should act fast because money likes speed. Joe says in Wealth Trigger Reloaded that a lot of people think that the money they have in their hands is just it. That is a scarcity mindset. The truth is that the world doesn’t stop spinning and they don’t realize that more money is actually coming towards them. It is true that saving money alone can’t make you rich because money drops in value, so that’s why Robert Kiyosaki advices that you hold your savings in gold and silver. But the point of saving money for your future is to psychologically tell your subconscious mind that you have enough money to spend, invest, give, and save. This way, you can grow your money faster. For this, you can learn about investing from books such as Rich Dad’s Guide to Investing. If you don’t want to learn it, you can also look for trusted financial advisers to help you. You can’t get what you don’t give. Giving is actually the most powerful principle of attracting money. Joe even reveals in The Greatest Money Making Secret in History that the secret of making money is in fact giving. However, you need to make sure that you should only give without expecting any rewards from the person you are giving to. Let God, or the Universe or whatever you want to call it, give you the rewards. 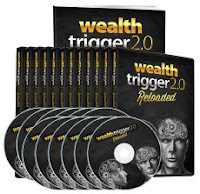 In Wealth Trigger Reloaded program, clinical hypnotherapist Steve G. Jones actually also provides some hypnosis techniques and a hypnotherapy session so that you can change and re-program your mindset about wealth and money. If you haven’t got the program, you can go here to get it. Robert says that it doesn’t mean that you should learn how to be an entrepreneur or how to sell. Attracting wealth by improving your financial intelligence #1, making money, means that you should know your passion, or decide what the best way for you to make money is. Another thing to remember is that you will always find problems in making money. They just won’t go away. Therefore, what you should do is keep solving those problems because each time you successfully solve a problem, that process will make you richer. In addition to attracting wealth, of course protecting the money you already have right now is important. Robert says that protecting your wealth can be done by staying away from poor brokers and poor financial advisors, as well as becoming a customer of businesses that make you rich. This includes using your money to subscribe to financial magazines. This means that you should know how to make more money with less effort. 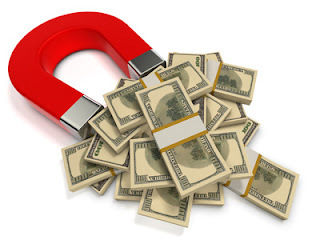 In order to attract money, you can use various leverages, including good debt (using other people’s money) and the other financial intelligences (making more money, protecting your money, budgeting, leveraging, and information). Robert always says that you don’t need money to make money. To attract wealth, what you need is the right information. This includes knowing trends such as the price of gold so you know when to buy and when to sell. In this information age, even young entrepreneurs (Mark Zuckerberg from Facebook, etc) can make a lot of money with inexpensive resources.